Our website has been given a new look that will hopefully make navigation a bit easier. This gave us an opportunity to look at some of the anonymous data we have gathered over the pass year. But first let’s explained what anonymous data means in our case. We get to see what pages have been viewed but not who viewed them. We do not know who you are. While looking at the data we saw what the top five recipes of the years were. So today we thought we would share these recipes with you in reverse order. Rest assured that this list of wild blueberry recipes is not click bait. We will not make you click through a number of pages to find the winner. And if the mood strikes you to try one of these recipes, we have made the titles clickable. Number Five: Ten Minute Wild Blueberry Muffins. If you like blueberry muffins but you want them in a hurry, then this is the recipe for you. This quick and easy recipe makes 15 muffins. The ease of this recipe is surely a reason why it made the top five. Number Four: Classic Wild Blueberry Pie. There are reasons why things are called classics but the main one is that it never goes out of style. This holds true for our Classic Wild Blueberry Pie as well. Coming in at number four, this is the only pie recipe to make the top five. 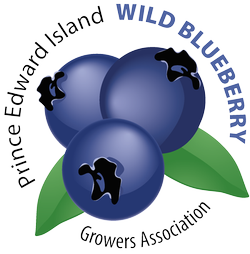 This recipe, Helen’s Wild Blueberry Muffins, was one of winning entries at the 2017 Dundas Plowing Match & Agriculture Fair. It also proved popular with our readers as it placed solidly in the top three. If you have some frozen blueberries on hand (or fresh berries in season) and an hour to spare, why not bake yourself Katie’s Wild Blueberry Cake. Little did we think that blueberry cake would out perform blueberry pie, but this recipe had the chops to do so. Okay, blueberry muffins are popular. They captured three of the top five positions (and five out the top ten). I would have bet my bottom dollar that a blueberry pie recipe would have been the winner. I am not sure what made this particular muffin recipe so popular. Maybe it was the six cups of wild blueberries the recipes called for.